DailyLike is a lovely brand from Korea! Their washi tapes and fabric tapes both are simple, yet beautiful. Great for scrapbooking, gift wrapping, decorating cards and envelopes, collages and more! 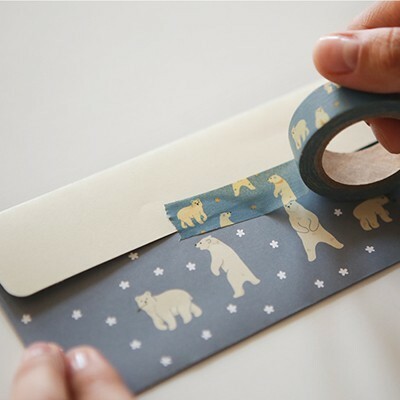 Add a little dash of cuteness to any crafting project! 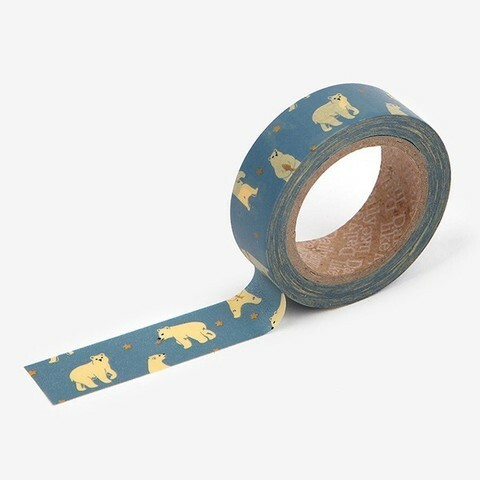 The masking tape is unique in that it can be pulled on and off numerous times and leaves no residue or paper tears. A perfect and fun way to adorn any gift, lunch bag, journal or scrapbook,diaries. Also can be used as labels or decorative element on anything, you can write on this tape, stick it onto plastic bags, paper or boxes.... I'm sure you will have more brilliant idea for using it !